Travel with your Pet to Santa Fe, New Mexico! We want to help you bring your cat or dog on vacation to Santa Fe, New Mexico! Santa Fe is a city that embraces its natural environment unlike any other in the United States. This is a city whose beautiful, brown adobe architecture blends with the high desert landscape. A city that is, at the same time, one of America's great art and culinary capitals. 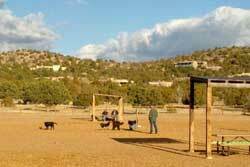 Santa Fe is a great place for a pet friendly vacation- great dog parks! Even in the center of town, there are areas where dogs are welcome. Check the dog park map! Take a look at our handpicked petfriendly hotels and petfriendly by owner vacation rentals. New! wheelchair accessible by owner rentals. Do your own search for a by only rental on homeaway/vrbo- filtered for Santa Fe and pet friendly and wifi - just select your dates and how many people you need to sleep! 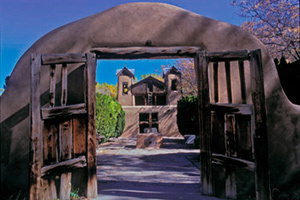 Santa Fe draws those who love art, natural beauty and those who wish to relax. We spell it out for you on our Fun For You! page! Pet Friendly Hotels in Santa Fe, NM! See our selection! Santa Fe Sage Inn - Book It! Jump on the hotel's free shuttle to immerse yourself in art and history in one of Santa Fe's many museums or galleries. Relax in one of the hotels 155 Southwestern rooms. Enjoy the hotel's complimentary "Fresh Start" breakfast, free WiFi, outdoor pool, and Pet Friendly lodging. The Santa Fe Sage Inn looks forward to connecting you to the heart of Santa Fe. One time fee $25.00/pet. and more pet friendly hotels in Santa Fe! Type "Santa Fe" and your dates! "Best Western recognizes the ever growing needs for pet friendly accommodations. "We strive to offer our guests and their furry friends a comfortable stay and have done our best to ensure consistency at all of our pet friendly properties. There may be a maximum $20 per day charge for each room with a pet or multiple pets or a maximum per week charge of $100. A refundable damage deposit of up to $50 per stay may be required of all guests with a pet." 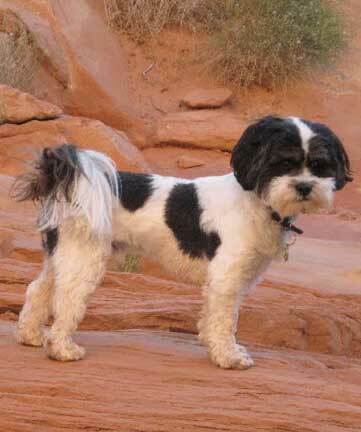 Pet Friendly By Owner Rentals in Santa Fe, NM! See our selection! Do your own search! on homeaway/vrbo- filtered for Santa Fe and pet friendly and wifi - just select your dates and how many people you need to sleep! Pet Friendly By Owner Vacation Rentals in Santa Fe, New Mexico! 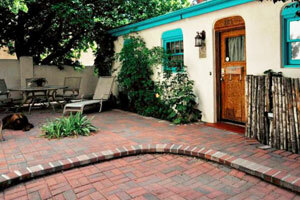 Romantic Casita in Downtown Historic District- 1BR/1BA, sleeps 2, minimum stay 2 nights; Avg Nightly $179 - BOOK IT! Pet friendly AND Wheelchair Accessible! and more pet friendly by owner rentals in Santa Fe! Pet Friendly Dog Parks in Santa Fe, NM! See our selection! 1 acre dog park connected to residential community. This new amenity, at a little over an acre, has already become one of residents’ favorites. On any given day you can see happy dogs and their owners running and playing. There are tables and benches for people to just sit and watch their dogs have fun. There are also shade covers to protect you from the sun. and more about dog parks in Santa Fe! Pet Friendly Restaurants in Santa Fe, NM! See our selection! Dog Friendly Restaurants in Santa Fe, New Mexico! $$ Mexican, Southwestern, Fast Food; this pet friendly restaurant is a casual eatery with New Mexican and Salvadoran dishes and burgers. Leashed pets allowed in outdoor dining area. Family owned & operated authentic New Mexican food. and more dog friendly restaurants in Santa Fe! Pet Day Care in Santa Fe, New Mexico!! See our selection! 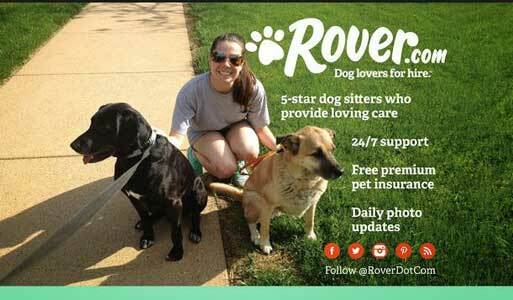 Provides pet care services for traveling pet parents - dog walking, photography, pet medicating at your hotel. 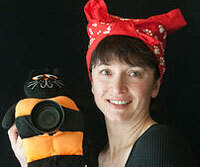 They also specialize in pet photography! Vets in Santa Fe, NM See our selection! Veterinarians in Santa Fe, New Mexico! and more vets in Santa Fe! Having Fun in Santa Fe, NM!! See our selection! Having Fun in Santa Fe, New Mexico! The Ticket Network for Great Tickets and Fun! in Santa Fe The Ticket Network offers great tickets to amazing events in the Santa Fe area... Watch a show at the Lensic Theater. Who is playing at Santa Fe Brewing Company or Meow Wolf? In any case, get your tickets! and more fun things to do in Santa Fe! "And consider bringing dogs inside when temps get above 90 or sooner if there is a lot of humidity....," said Dr. Michelle LaCoste, a veterinarian at Animal Medical Hospital in Mason City. Spend some time on our videos page, which shows videos of pet travelers having a great time in Santa Fe, New Mexico. Our travel store can help outfit with the latest great products for your travels. Please take a look at our blog, and other cities we have done research on on our main map! Have a question? Post it! We will answer, and invite others to do so as well. This is a community! And thank you for coming to our site! This is the www.petfriendlysantafe.com page of the www.petfriendlynorthamerica.com global website.